Like Web Axe? 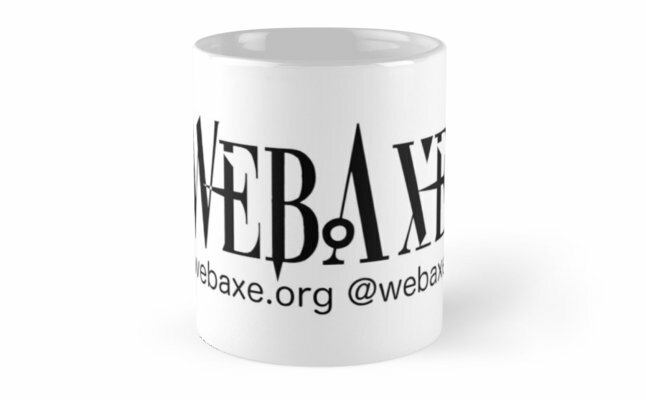 Get your Web Axe gear on RedBubble! Always good to promote web accessibility with a little swag/merchandise! Follow Harold in his quest to make an accessible website for his company Jiffy Brothers! This is an entertaining two-part video series about a fictional company and its website. It’s produced by The Human Resources Professionals Association (HRPA) of Ontario, Canada. Watch out for Boris! You can find more information and videos from HRPA on the HRPA YouTube channel. Fixing Alt – How much caffeine? It’s been a while since we’ve added to our “Fixing Alt” series which provides alternative text missing from infographics. 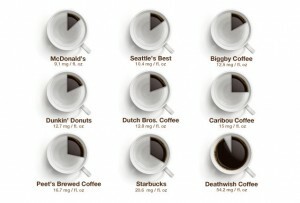 So I thought a recently published infographic, How much caffeine is actually in your coffee, would be perfect. The image tells how many milligrams are in a cup of coffee from a variety of brands/stores. The alternative text provided on the blog is the same as the title of the blog; the actual content in the image is missing; it’s not accessible. This is a fun topic but also important as we coffee drinkers, sighted or not, should be aware of the figures (assuming they’re accurate). So below is the information in the image and what should be content on the original page or referenced with the longdesc attribute. Caffeine infographic; 9 kinds of coffee, each with a coffee mug that displays an amount of coffee relative to the level of caffeine. Each amount below is in milligrams of caffeine per fluid ounce. I designed a Web Axe t-shirt on a neat new website, ooShirts.com (although I haven’t tested the accessibility). ooShirts is an apparel startup company located in Berkeley, California. 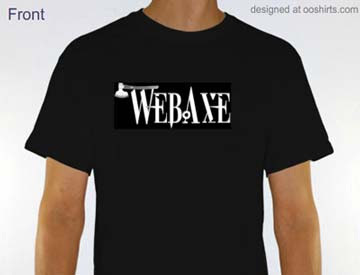 I hope to give away a couple Web Axe t-shirts sometime soon, maybe at CSUN 2012. And you can always order your own!